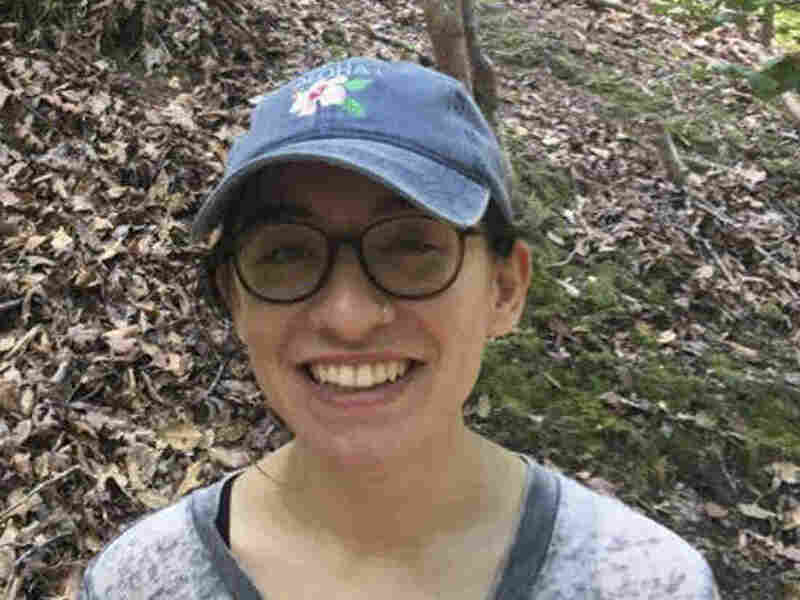 U.S. Student Detained In Israel Lara Alqasem, a 22-year-old U.S. citizen, was barred from entering Israel last Tuesday and ordered to be deported. She appealed the decision and has been detained ever since. Lara Alqasem arrived in Israel last Tuesday on a valid student visa but was blocked from entering the country on suspicion of supporting a Palestinian-led boycott campaign. Her mother, Karen Alqasem, told WMNF that "when she went through the gate to try to enter the country they asked where her father — you know she has the Alqasem name — so they asked where does that name come from, where was her father born?" She showed the security agents her student visa, her mother said, but they made a call and detained her. Alqasem was denied entry to Israel because of a 2017 law barring visitors who support or call for a boycott against the country or its settlements in the West Bank. The measure passed after the Boycott, Divestment and Sanctions movement, a Palestinian-led campaign to exert pressure on Israel, gained traction internationally. "Israel, like every democracy, has the right to prevent the entry of foreign nationals, especially those working to harm the country," Israeli Minister of Public Security and Strategic Affairs Gilad Erdan said on Monday. "Therefore we work to prevent the entry of those who promote the anti-Semitic BDS campaign, which calls for Israel's destruction." Erdan said the student was "president of a chapter of one of the most extreme and hate-filled BDS groups" in the U.S., which has chapters that "repeatedly engaged in anti-Semitic and violent activity with the goal of bullying and silencing students simply for their support of Israel." He also questioned why she "changed her story several times" since arriving in Israel and erased her social media accounts prior to traveling. He also said she is free to return to the United States. According to a profile page about Alqasem on a website that claims to document people and organizations "that promote hatred of the USA, Israel and Jews on North American college campuses," she was the president of Students for Justice in Palestine at the University of Florida. Alqasem appealed the order, reportedly telling the Tel Aviv Court of Appeals that she no longer identified with the boycott movement. The court recommended that she remain in custody until a decision was reached. "The weeklong detention is the longest anyone has been held in a boycott-related case," The Associated Press reported. As she awaits the court's decision, she told her mother that there was a bedbug infestation in her cell, according to the AP. Her cellphone was confiscated and she felt "completely cut off from the world." On Tuesday, Erdan said that the government would reconsider her entry if she denounced the boycott movement. Her attorney, Yotam Ben-Hillel, did not immediately respond to NPR's request for comment. "We're talking about someone who simply wants to study in Israel, who is not boycotting anything," Ben-Hillel told the AP. "She's not even part of the student organization anymore." Erdan said the leader of the boycott movement, Omar Barghouti, has an Israeli residency permit and studied at Tel Aviv University. Erdan argued that studying in Israel did not mean Alqasem could not be part of the boycott movement. Dror Abend-David, a Jewish language and culture professor who taught Alqasem Hebrew at the University of Florida, offered support for her in an opinion letter to Haaretz: "It was impossible not to notice that she was an exceptional student — hard-working, curious and ambitious. ... She was curious about Israel and never expressed any negative sentiment or anger about Israel." A spokesperson at Hebrew University of Jerusalem told NPR that it would join Alqasem's appeal. Some 400 academics from the university and other Israeli schools have called for her to be allowed into the country, The Jerusalem Post reported. Hebrew University Rector Barak Medina told The Washington Post that authorities prevented university representatives from visiting her at the airport on Sunday. "This kind of legislation might actually enhance the tendency to boycott Israel, instead of mitigating it," Medina was reported to have said. "These are a collection of policies that are not only aimed at narrowing freedom of speech but also show the extent to which Israel is not acting like a liberal democracy should." In recent months, a number of vocal critics of the Israeli government, including U.S. journalist Peter Beinart, have been interrogated about their political views by border agents. As NPR's Daniel Estrin reported, the practice has revived a debate about whether Israel is suppressing dissent.